Unpack your bags and settle in for an enjoyable stay. 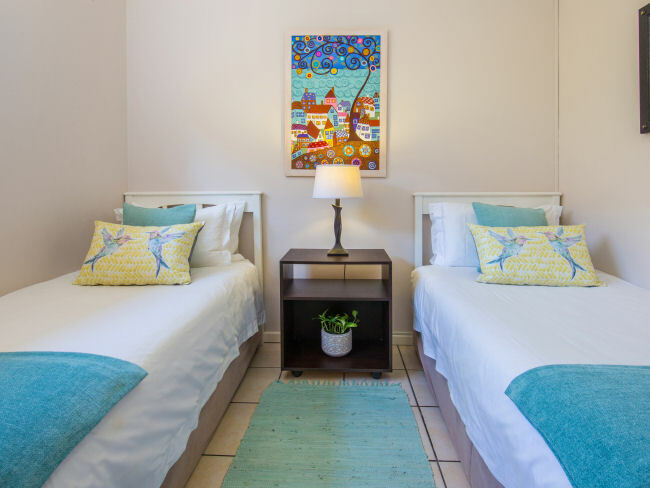 Amber Guest Lodge's spacious suites have been decorated in a classic, modern style that complements their airy, light feel. The suites are complete with TV, DSTV, DVD, fridge, heaters and tea/coffee making facilities. We also have a WiFi Connection. The suites feature king size or twin beds for your comfort. The pristine en-suite bathroom has a bath and a shower with much more than just a bit of elbow room! 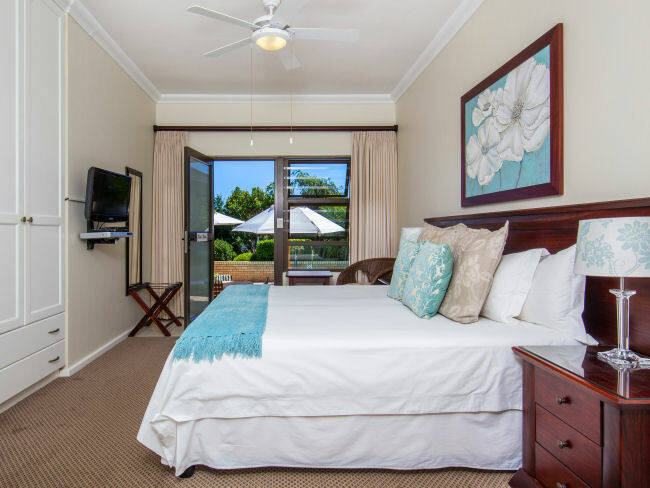 All suites open onto large tiled pool area and patio with magnificent views of the Knysna estuary and Outeniqua Mountains. A full English or Continental breakfast is freshly prepared and then served in our dining room or on the pool patio in summer. 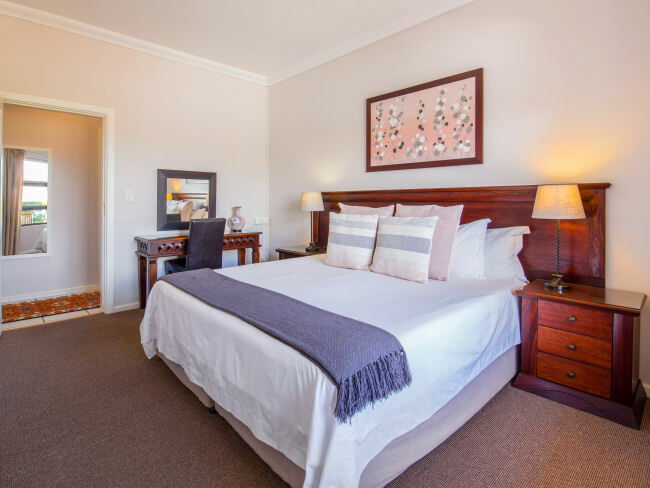 Our Executive Suite boasts a large lounge and a dining area with the best panoramic views of the Knysna lagoon. The separate bedroom has a king size or twin beds and an en-suite bathroom with a large shower and bath. There is a flat screen TV, DVD player, fridge, safe, tea/coffee facilities, and we also offer free WiFi. Our executive suite is also popular with honeymoon couples. 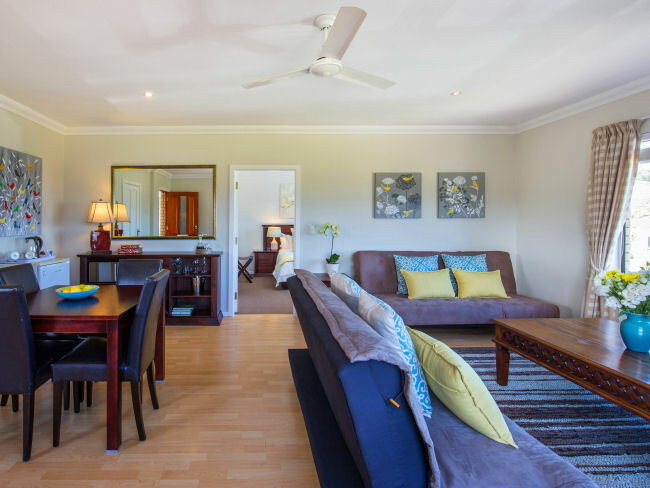 The Family Suite is a two bedroomed unit with a large bathroom with bath and shower, and a private lounge. The main bedroom has one king size bed and the second bedroom has two single beds. There is a flat screen TV, DVD player, fridge, tea and coffee making facilities, hairdryer, free WiFi, Heater and fans. This room is ideal for families. Double bedroom with king size or twin beds, en-suite bathroom with large shower cubicle and a bath. This room has flatscreen TV, DVD player, hairdryer, fridge,safe, tea/coffee facilities. Free Wi-Fi. 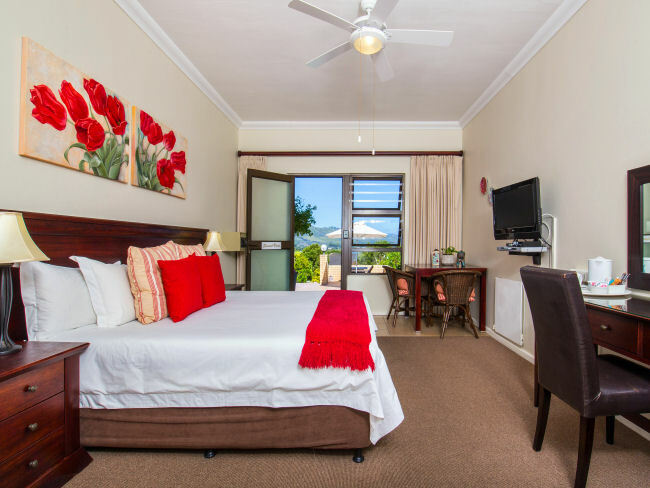 This room has a beautiful view of the Knysna Lagoon and its exquisite sunsets. Double bedroom with king size bed. Flat screen TV, DVD player, hairdryer, fridge, tea and coffee making facilities. Large bathroom with bath and separate shower. Free Wi-Fi. Heater and fan. This room opens up onto our sun filled patio and pool area. 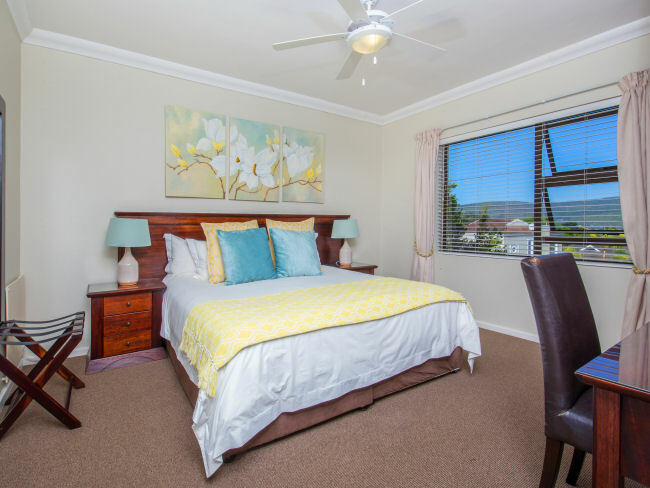 Double bedroom with king size or twin beds, en-suite bathroom with large shower cubicle and a bath. This room has flat screen TV, DVD player, hairdryer, fridge, safe, tea/coffee facilities. Free Wi-Fi. 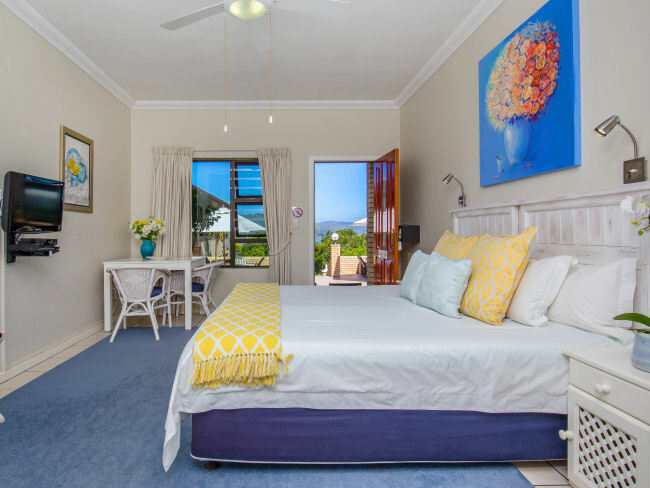 This room also boasts a breathtaking view of the Knysna Lagoon.